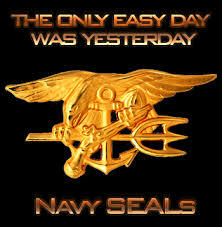 The following article is about grit and resilience from the perspective of a Navy SEAL. Now considered essential reading for everyone in the Workout, it is amazingly in line with the teaching of the Actors Workout and the life and career of an actor. Please take a moment to read it here. This entry	was posted on Sunday, January 3rd, 2016	and is filed under Food for Thought. You can follow any responses to this entry through the RSS 2.0 feed.